The World Rally Championships came to town. The official launch and unveiling of the 2019 WRC car’s and team’s line-ups took place at Birmingham’s NEC arena during the Autosport International Show, in front of huge crowds of media and fans for what was known as ‘Super Saturday’. All four teams unveiled their new cars for the 2019 season. All with various updates and developments which will continue throughout the year, as the battle for the manufactures and drivers title intensifies even more for the coming WRC season. M-Sport, Citroen and Hyundai also had new liveries to show off. The launch was brilliantly hosted by WRC All Live commentator Becs Williams which was then followed up with Colin Clark interviewing all the drivers and team bosses over on the Autosport stage. Giving fans plenty of entertainment as the WRC’s best, took over the Autosport Show. Toyota have a super team of experienced, strong-minded drivers. Capable of winning on any rally. The hardest part for the team bosses could be trying to control or give team orders to their drivers, as they only know one thing. To drive flat-out for the win, with what is possibly, the fastest car in the service park. The lineup includes Last year’s title contender, Ott Tanak & Co-Driver Martin Järveoja. Jari Matti Latvala & Miikka Anttila. Also joining the team will be Kris Meeke with a new man alongside him, Hayden Paddon’s ex Co-Driver Seb Marshall. Hyundai have been working hard to improve their car, with the new 2019 engine already in place, plus some diff and transmission work. Lead driver and last years biggest title rival Thierry Neuville & Co-Driver Nicolas Gilsoul will need everything to try to beat Ogier to the title once again after coming very close last season. One thing he needed last year, was good support from his team mates. This means Hyundai have gone all out with a serious aim to win a title this year. Joining them for 6 rounds of the 2019 & 2020 season’s will be 9 times champion, Sebastien Loeb & Daniel Elena. They will be sharing the car with Dani Sordo & Carlos Del Barrio. Andreas Mikkelsen & Anders Jaeger will be under a lot of pressure in their full season for the team after a disappointing performance last season. Citroen have struggled since their return to the WRC. This year they have completely changed their line up in the hope of better results. Leading the team, and making a return to where he started his career, will be the current World Champion, Sebastien Ogier and Julian Ingrassia. Hoping to be the 2nd driver in history to win titles for three different manufacture teams. Joining him will be Finn Esapekka Lappi & Janne Ferm. After having taken the Drivers & Manufactures title in 2017. Then taking the Drivers title once again last year, with Ogier. The championship winning private team from Cumbria, very nearly didn’t make it into the 2019 season. Still with questions over funding, they are going ahead with the 2019 season with some updates from Ford. Piloting their updated Ford Fiesta WRC car will once again be Teemu Suninen and Marko Salminen and Elfyn Evans, who will be joined by a new Co-driver Scott Martin who makes his return to the M-Sport team. Joining them for the first two rallies, will be Pontus Tidemand and Ola Floena. Also Gus Greensmith will be joining the team for Rally Portugal. Thanks to a great weekend here in Birmingham, we are now set for another brilliant WRC season. 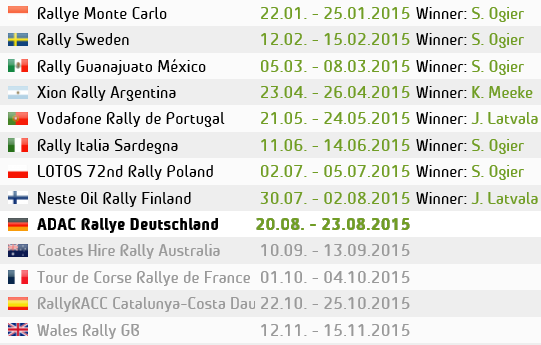 Expect lots of drama and close fights out on the stages, as more and more drivers are capable of winning Rallies. The 2019 title fight is wide open. Full WRC Launch Photo gallery below. M-Sport Ford World Rally Team has revealed their new livery ahead of the 2019 FIA World Rally Championship. The eye-catching EcoBoost-powered Ford Fiesta WRC will be entrusted to Elfyn Evans and Teemu Suninen throughout the 14-round season and displayed at Autosport International over the next four days. Images & words: M-Sport Press Release.